Hello! I am looking for a female or male to take my room for the next 3 months. The room is totally furnished with high-quality furniture and an excellent mattress. The rent is $230 per week and includes unlimited internet and gas. Electricity and water will be separated and is around $50 per month. Now... about the place: This is truly a nice place that is close to everything. A 5 minute walk to train station with only 3 stops till you reach the CBD. Once you get off at newmarket station, you have to walk past the supermarket to get home so is very handy for shopping. There is a Gym 'Zap fitness' on the road that i went to that is a nice gym and has a good range of equipment. We want to get someone tidy, responsible and respectful. This is an immaculate place and we shared the chores of the house among three people every week. Please let me know if you are interested. One large room (room 1; air-conditioned), one medium (room 2; no aircon). Shared bathroom with bathtub (the grand kind on feet) and comfortable shower. Large living room with art studio space on one end. Well appointed kitchen. Big patio. Wooden floors, high ceilings with fans. Hydronic heating throughout, perfectly cozy in winter. Unlimited internet. Photos will be uploaded soon. -3 bed 1 bath in good condition! 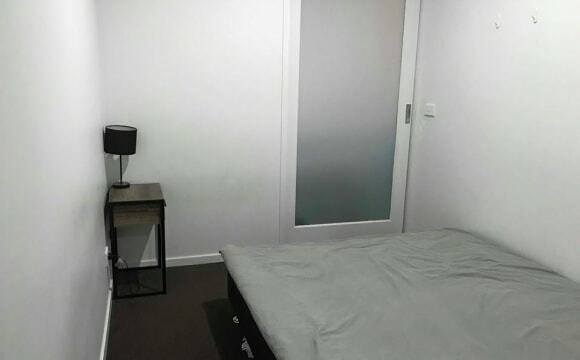 -10 mins walk to Newmarket station and 5 to mt Alexander road trams, quiet street -UNFURNISHED (you will just need to furnish your own room, we’ll take care of the rest, no built in robes.) -your bed is on the pics, 3.3x2.6m. (Audrey has done spatial analysis on it and confirmed can fit a doublebed with trimmings) ABOUT YOU: -preferably in a similar cycle of life 🤘 -honest, decent, clean and respectful peeps. have lived in sharehouses before. -chiller, independent, don’t have to be super extrovert but keen to contribute to house vibes 💯 You won’t be able to view the place until after we get keys on 1 May. You will need to go on the lease which involves a straightforward application process with Nelson Alexander and a $110 fee which we can split 3 ways, as well as bond. No smokers. No pets sorry (as much as a dog would be amaze). 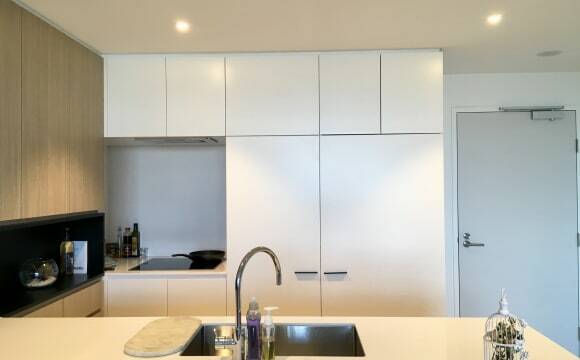 Available from 1st June 2019 The bedrooms with a private balcony looks over the amazing Melbourne skyline, this apartment has a generous sized kitchen, a spacious laundry room, ensuite bathroom and built in robes in both bedrooms. The apartment is situated in the heart of Flemington, a stone’s throw away from the New market, Royal Race course, the shops along New market. It offers stunning contemporary apartments in a world class location opposite the renowned Flemington Racecourse. Building amenities include a outdoor lap pool, heated spa, gym, steam room and BBQ area all located on level 19. 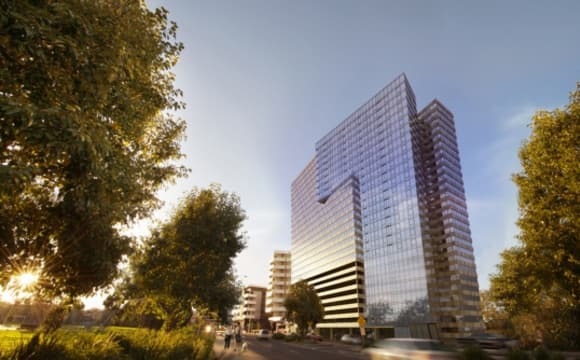 Quest Flemington Central are 15 minutes' walk from Melbourne Showgrounds, 12 minutes' drive from Melbourne Zoo and 17 minutes' drive from Melbourne CBD (Central Business District). Etihad Stadium is 4.1 km from Quest Flemington Central, while Melbourne Museum is 5 km away. 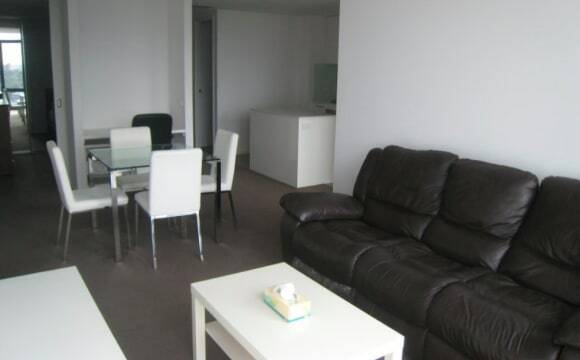 The nearest airport is Melbourne Airport, 15 km from the property. Do not miss out on this wonderful opportunity, register your interest to view the apartment and move into your dream home soon. Couple considered with $20 added to weekly rent. The house is gorgeous and full of character. It's also only 5-minutes walk to Newmarket train station, trams, Woolies, and a whole lotta cute cafes and restaurants. The house features: -Ducted heating!!! -Air con!!! -1 shared bathroom -Dishwasher -Gas oven -Wooden floorboard -Cute backyard with fruit trees and a clothesline The room is unfurnished, measures 3.8m by 3.3m, has ducted heating and a ceiling fan. There are no built-in wardrobes, but I have some spare cupboards if you need them. You will need to go on the lease, so we’re looking for someone with a reliable income who will be around long term. Rent is $210 per week ($912.55PCM) plus bills. Smokers are okay but you'll need to do it outside. 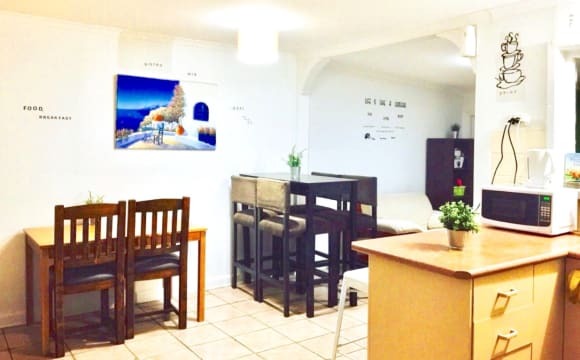 This is a super cute apartment, fully furnished except for the bedroom (though if you want to bring some furniture with you we can sort that out too). The bedroom has a built in wardrobe and looks out on a quiet street. There's lots of natural light so its great for houseplants and there is a laundry in the building too that's free to use. The apartment is located a 5 minute walk from Newmarket station and Woolies, so its easy as to do your shopping and it only takes 15/20mins to get to the city. We are also really close to Racecourse Rd so conveniently/dangerously close to Laksa King and other tasty food places. Also 5 mins walk to the 59 and 50 tram lines. Rent is $715 due monthly, internet is $25 a month and other bills are quarterly. Hi. Let me tell you about my home! Public transport is all within walking distance, although there is off street parking available if you have a car. This is important as being close to the showgrounds and Flemington racecourse, street parking is permit only. There are 2 neighbourhood shopping centres within walking distance and the tram will take you to Ascot Vale village shopping and Highpoint Shopping Centre. It's a large flat and while you'll have the smaller room, you'll have the bigger cupboard and window! I'm also on the ground floor, so you don't have to carry stuff up stairs! There's also a laundry in the bathroom which you can use. I've lived in this flat for going on 4 years now and I love living in this area. Flemington is very socially and culturally diverse, as well as architecturally. House has the follow to offer- 3 bedrooms 2 full bathrooms – You will be sharing with 1 other person Split system heating and cooling (although we have never used either as the house is well built and insulated) Polished wooden floorboards Near public transport #57 tram, New Market/ Flemington Bridge train stations Near cafes, pubs and wine bars. Washing machine Neat Courtyard Photos used for the house are from the styled rental photos. The bedroom photos are current. The house is mostly furnished but the bedroom for rent will not be. There is 9 months left on the lease. 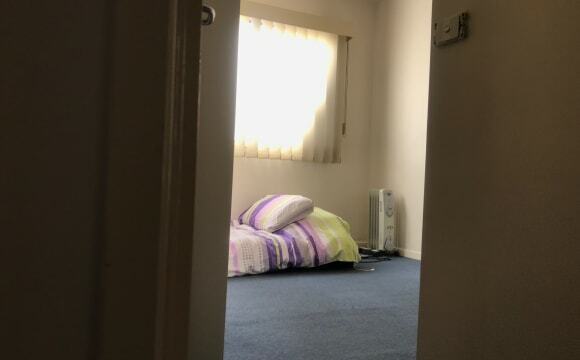 Rent is paid monthly at the start of the month and is $1084 pm $250.00 pw (which includes bills +/-) Bond is $1180.00 Room is available from 12th May. Awesome house living with a layed back professional guy. Hi, my name is Bethanie and my home is a 2 storey townhouse on a nice and quiet leafy street. It is 5km to the CBD and there are lots of shops and public transport close by. It takes 8 minutes to walk to the train station and then it is just 10 minutes to the city. Your room is upstairs and is large, sunny and has air conditioning. The shared bathroom is right next door, and you will have your own toilet upstairs as well. Downstairs is a large lounge room and dining area with an ecological fireplace for cozy winter evenings and there is a small courtyard with lots of plants and room to enjoy a meal or a drink with a few friends during the summer months. There is a big TV with HD Netflix, and a front loading washer and dryer in the laundry. Bills and internet are included in the price. 2 bedroom dual living area abode in Flemington. About the house. 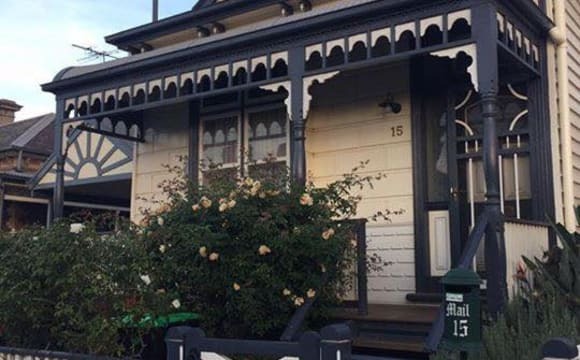 Situated in Flemington literally only ten minutes from the city. 5 minute stroll from tram 57, and not much further at all from your pick of two train stations. (I know right). 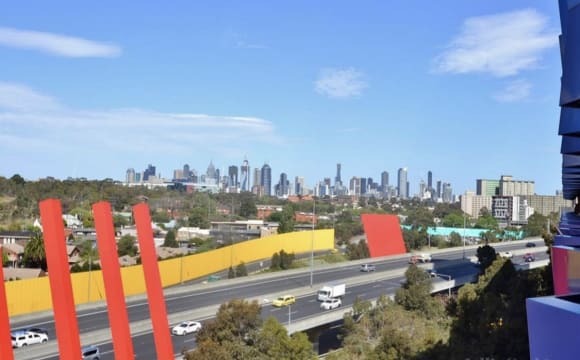 Why I chose Flemington besides the proximity to the cbd. 5 minutes to the freeway your choice which direction to take. 25 mins to the airport. Fitzroy Collingwood Carlton all close by yet far enough from the constant busy you can catch your breath. I am a 40 something year old busy professional. Sociable and friendly with a positive outlook on life. Living in a healthy respectful vibrant household is important to me. Hence I am looking for a housemate who values align. If you feel this could be suitable please feel free to get in touch. 2 train stops from city, furnished room with a double sized bed and built-in desk with cupboards and shelves. There is also a clothes rack, mirror, desk lamp and chair in the room. 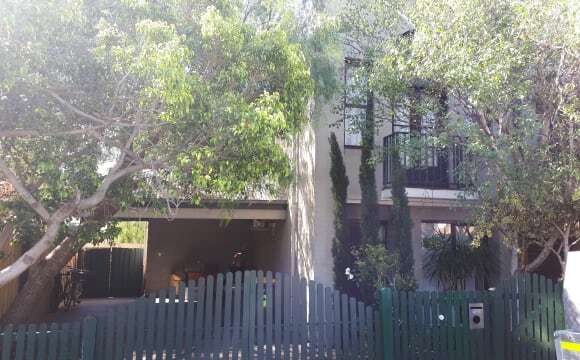 Walking distance to lots of shops, Woolies supermarket, great restaurants and public transport. Only 500m to Newmarket train station/trams and 600m to Kensington station. Close to many shops, Woolworths, train stations in a quiet area. Near shops, trains station and quiet area. 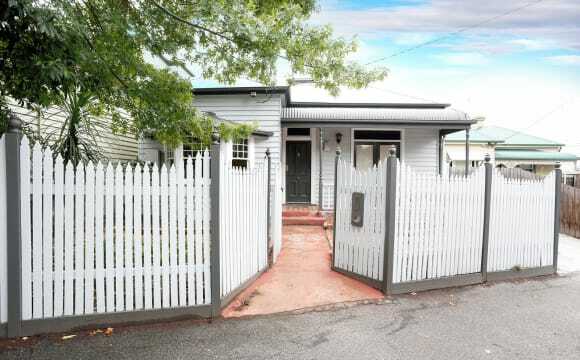 The art deco house is small but very cute with timber hardwood floors. The spare bedroom is located at the front of the property allowing some privacy. It also has large built in robes, beautiful art deco windows, small wall heater and internet connection. - The location is ideal for literally anyone. - It is so close to the city. Tram stop only 3 min walk. Train station (nearest one is Newmarket) is only 5-6 min walk or you can also board from Kensington Train station which is 9-10 min walk from the property. - It is right next to a track which you can walk down to see the Maribyrnong river. - 4 min walk to Woolies and ZAP Fitness - House itself has a back yard where you can go and smoke. Or have a BBQ. - Has a nice dining area. - Has sort of 4 bedrooms. Has 2 toilets. One's ensuite but feel free to use it if other one's occupied. - Has shower separate to the shared toilet. - Has every item of use. You do not need to buy anything. - If you want a mattress that can also be arranged. - House is fully furnished. 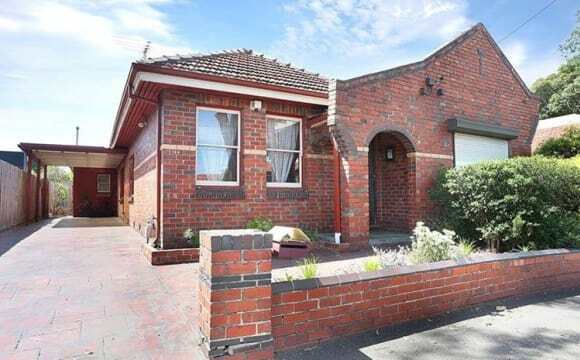 Californian brick Bungalow located in very quiet Heritage listed suburb. Home recently renovated room including modern Kitchen and Bathrooms.Central Heating Dairy in the back of property along with the stables. Has 4 Bedrooms with large windows,Upstairs with City views.3 Bathrooms WI-FI avail free. Tram to CBD 250 metres away,Off street and on street permit parking,Lots of local Work out Gyms coffee places.No drugs,flatmates respectful to each other,clean and respect your Homestay.Electricity and gas Bills to be equally shared $15-$20 p/week or less combined,Energy saving LED lighting all rooms,Living area combines Kitchen and Lounge room.Thank you. Furnished private room is available to share. Clean and quiet place to live. 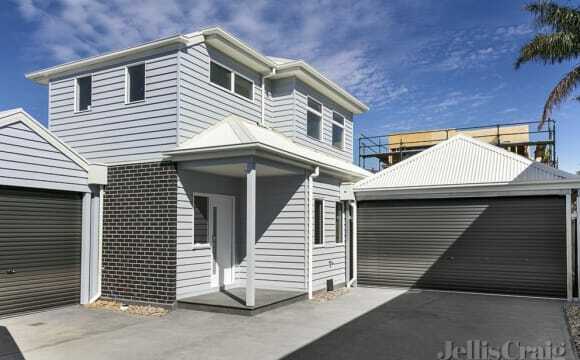 2 minutes walk to tram 59 stop, less than 10mins walk to Ascot Vale station. House itself is a spacious, light filled town house only 12 months old. House is fully furnished, though have the option to move my queen bed/room furniture out if you'd prefer to bring your own. Bedroom has BIR and split sytem aircon/heater. Shared bathroom with 1 other female. Street is quiet with plenty of all day parking out the front. Prime location only 5 min walk to 57 tram or Kensington train station, just a few stops from the city. Nice cafes (and laksa king!) all closeby. 20 min walk to RCH and close proximity to other hospitals in the area. Room is available from May 6th - 25th August. Very quiet and cozy bedroom. Convenient place, tram stop, park, supermarkets, and cafes are just outdoor. Are you looking for a Private room?? In your budget?? Close to cbd?? 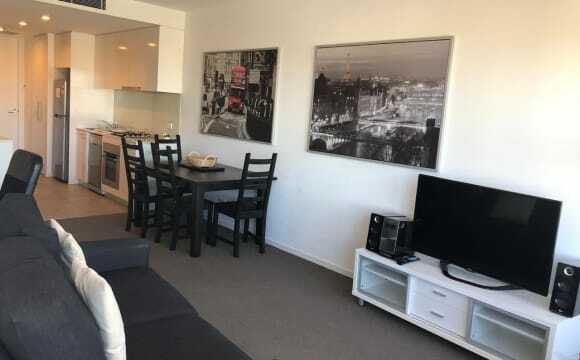 This apartment is 15 mins always from city if you travel by tram which has a stop just in front of the building and train station for upfield line is located 5 mins away. This location is amazing for students in Mel uni and RMIT and full time professionals working in city. IGA store and gym facilities like anytime fitness and fern wood gym just located under this building. The house will be fully furnished with all the basic amenities. Price: $210 per week which comes to $910 per month. Bond will be 2 weeks rent. Utilities: some are included in rent, rest will be divided between 2. The apartment is fully furnished with washing machine, dryer, kitchen utensils, refrigerator, TV, Internet and centralised air conditioning &amp; heater. You have outstanding views of the city both day and night. The apartment is completely secured and has a gym, clubhouse, barbecue area and spa. Grocery store, coffee shop and bakery right in the building at the ground floor. And a tram stop right at the doorstep &amp; Flemington bridge train station at 500m distance. Best place for a student or a full-time worker. 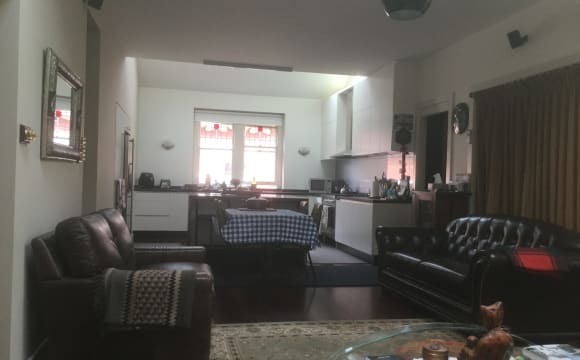 This apartment is fantastic; 15 Minutes from the CBD; close to VU, RMIT and Melbourne Uni and really a perfect central location to any part of Melbourne. The apartment building has a gym and an outdoor entertaining area that you can use. Spacious &amp; Cosy 2-Bedroom Apartment for Rent in Travancore @ Alexander Lombard Tower &amp; Sienna Apartments Available from 8th May. 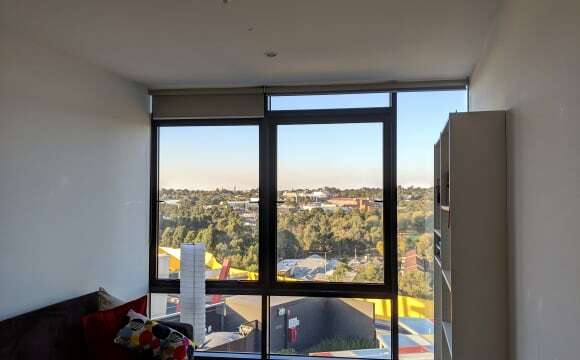 Spacious and cosy 2 bedroom 1 bathroom apartment for rent in Travancore, close to the Flemington Bridge train station (6 min walk), CBD (25 min by tram), with tram stop 23 on route 59 in front of the building and an IGA supermarket right next to it + a fantastic view of the city from the 20th floor! The apartment includes private courtyard, gym, covered and secure parking and a spacious storage cage all situated on site. $480/week or $2,086/month, it is fully furnished along with plates, cutlery, dishwasher, microwave, fridge, stove, oven, washing machine, sofa, 2 beds + mattresses, and much more. Monthly bills are only for hot water heating, electricity and internet (optional). The apartment is fully furnished with washing machine, dryer, kitchen utensils, refrigerator, TV, Internet and centralised air conditioning &amp; heater. You have outstanding views of the city both day and night. The apartment is completely secured and have gym, clubhouse, barbecue area and spa. Grocery store, coffee shop and bakery right in the building at the ground floor. And a tram stop right at the doorstep &amp; Flemington bridge train station at 500m distance. Best place for a student or a full-time worker. 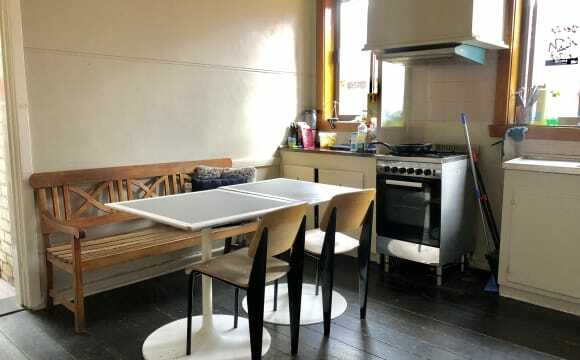 Large, bright, beautiful and fully furnished house in Kensington with Quality Furniture &amp; Air Conditioning and Heating. It has a Large living and meals area, Fully equipped kitchen with Dishwasher, laundry area leading into the downstairs WC. Open plan dining area, large garage, with 2 toilets incl shared bathroom and a Sunny North facing backyard with BBQ in our garden area. Only minutes from the CBD. 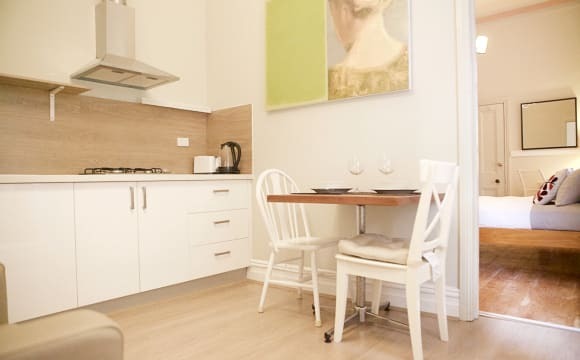 Its a 5 minute walk to the Tram,Train, Bus &amp; The Famous Kensington Shops, Cafes (The Local Folk café is 2 minutes walk from the front door) and it is 5 minutes away on Union Street), Restaurants and Bars and also North Melbourne ( Auction Rooms or Di A Bella Cafes and The Vic Markets for your CHEAP but High Quality clean eating needs shop till you drop). 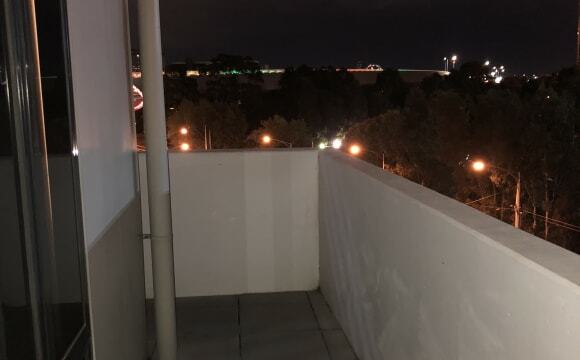 The appartment is on the second floor and has a spacious open floor plan with a quaint balcony overlooking Flemington racecourse. The shared-bathroom and kitchen are newly renovated and your room is large with a built in wardrobe. The house is fully furnished (except for your room) and there is a large amount of storage (inside and in the carpark cage). If you have a car there is unlimited street parking available as well as off street. Other features: dishwasher, split system air con / heater, washing machine and dryer. The place is in a great location with public transport, shopping and lots of dining options within walking distance. Also close to the river if you like to walk / run.